Free Money Guaranteed Scam Review - Don't Sign Up! Free Money Guaranteed Scam Review – Don’t Sign Up! If you’re here, chances are you came across Free Money Guaranteed software and puzzled by its outrageous claim. Do yourself a favor and don’t sign up, because Free Money Guaranteed is a scam! We have documented the evidence in this Free Money Guaranteed review, so make sure you read it before making your decision. So many red flags in the homepage of Free Money Guaranteed scam! There are so many untrue claims and red flags in Free Money Guaranteed scam, it has to be one of the most outrageous scams we have reviewed. And we have reviewed more than a hundred binary trading software scams. Now, let’s get started with the big headline that reads “$526,521.12 in 30 Days, Guaranteed!” Don’t you think if there’s such a software, it would’ve made its way to the national headline? This is just a marketing tactic used to grab your attention and to make you watch the sales video. It’s in the sales video where Robert Anderson, the alleged owner of Free Money Guaranteed scam tries to brainwash you into handing your money to him. Notice how Robert keeps repeating the word “guaranteed profits”, and he even promises to make you a millionaire within 3 months time, or he’ll send you a cheque worth $100,000. This is a desperate move to get you to sign up, so you can make a deposit into the scammers’ pocket. Remember – there’s no free lunch in this world, and the next time you come across an “opportunity” that can make you rich without working, steer clear of it. I’m sure you are aware of the countdown timer that ticks down as you watch the highly exaggerated sales video of Free Money Guaranteed scam. It’s said that only 7 new spots are available, and you have only a limited amount of time before your spot “expires”. 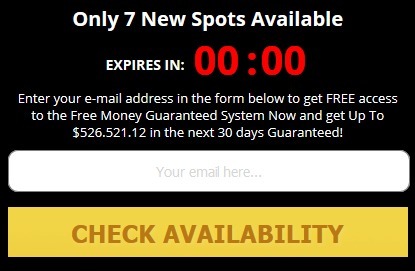 Now, are there really limited spots to Free Money Guaranteed software? What happens if the counter hits zero? The answer is – nothing will happen. You can still sign up for the scam by providing your email address, and you will still be congratulated for “making it into the members area”. Truth is, the countdown timer is just a computer script that is set to count down every time the page is loaded. You can experiment it for yourself. Try refreshing the homepage halfway through the sales video, and you’ll see that the timer resets itself, too. If there are really limited spots, why does the available spots stay at 7 (even if you visit the homepage weeks later), and the countdown timer resets itself? Did you catch this subtle mistake? If you’ve had a bad feeling about the whole video being fake and scripted, you are absolutely right. It’s a typical binary trading software scam – actors are paid to read scripts and to pretend that they are multi-millionaires, travel in rented cars and reach their destination, which is a rented mansion where they continue reading off scripts. However, in Free Money Guaranteed scam, they made a subtle, yet glaring mistake. They forgot to cover the license plate of the rented car (or the lack of license plate, in this case). 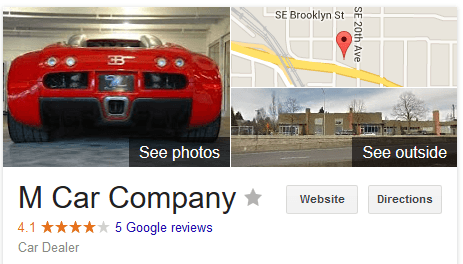 The car shown in the sales video is a temporarily rented car from a car dealer, M Company situated in Portland, Oregon. This explains the lack of license plate, because this car isn’t purchased and ready for use on the road, just yet. If Robert Anderson is a multi-millionaire, why is he traveling in a rented car? And speaking of Robert Anderson. there’s no such person in the binary options arena. He’s just a fabricated identity used to promote the scam. Robert in the sales video claimed that he’s helped more than 150 ordinary people become millionaire using his software, and the stories were documented in major news websites such as Bloomberg. However, a search in the news website directories made no mention of “Free Money Guaranteed Software” nor “Robert Anderson”, because this identity doesn’t exist. 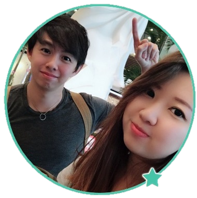 There are a few member testimonials claiming that they’ve made money using the software, and they’ve even shown their trading accounts (which are fakes). In these account screenshots, you can see the profits, as well as the date the screenshot was taken. 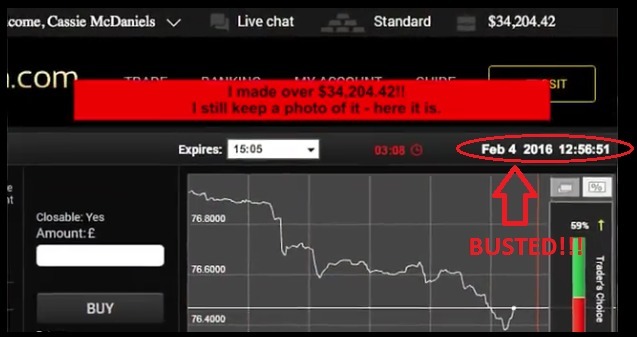 This picture was taken by Cassie McDaniels, one of the fake testimonials that claim to have made over $34,204,42 on Feb 4, 2016. 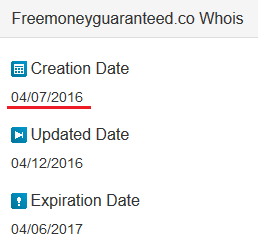 We’ve consulted the whois information of freemoneyguaranteed.co to ascertain the creation date of the domain. Keep in mind that Free Money Guaranteed software can only be obtained by signing up through the website itself, because it is tied to the broker account they open for you. Which is to say, there is no other way to obtain the software other than to sign up through freemoneyguaranteed.co. According to the whois information, the website was created only on April 7 2016, whereas the screenshot from the testimonial was taken on Feb 4 2016. Someone was already using the software 2 months before it existed! How is this possible? Apparently, the screenshot featured in the fake testimonial is a photoshopped one, and they missed out this little detail. Of course, the profits can easily be photoshopped, too. Is Free Money Guaranteed a Scam? YES, FREE MONEY GUARANTEED IS A SCAM. We strongly advise you to stay away from the scam if you don’t want to lose your hard-earned money. Binary Interceptor Review – It’s a Scam! Daily Trader Club Review – Scam Exposed!